WASHINGTON — Metro hopes to finalize agreements in coming months with ride-hailing companies such as Uber and Lyft for late-night transportation services rather than providing additional rail service hours, even as the agency tries to compete with the services at other times of the day and week. 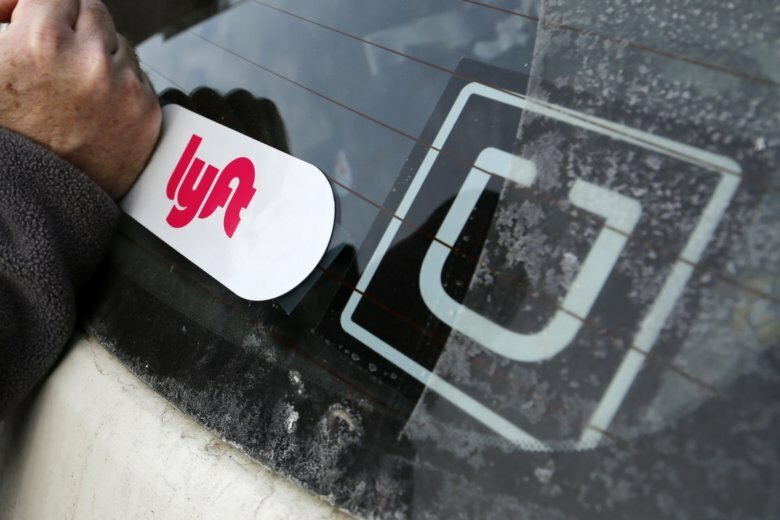 Metro General Manager Paul Wiedefeld’s budget proposal assumes there will be some type of agreement with a company or companies such as Uber and Lyft by next summer to support late-night transportation service. Any late-night partnership though comes as Metro is actively fighting back against competition for riders from the ride-hailing services at times when the rail and bus system is running, including with new efforts to get more riders to use weekly and monthly passes. “When a customer has a pass, which they’ve paid for, then it makes it much more seamless for them to jump on a bus or on the rail and use the pass rather than jump on the alternative …. Metro is competing with,” Chief Financial Officer Dennis Anosike said. The budget proposal also includes a flat $2 rail fare on weekends when ridership has cratered due to track work, and the ride-hailing companies “are doing phenomenally well against us,” Anosike said. “The combined package is designed to unlock the full ecosystem of Metro’s bus and rail network. It’s also designed to enable WMATA to compete with ride-share services,” he said. Metro is still reviewing potential changes to weekend track work that would lessen impacts on riders. In the meantime, Wiedefeld cites other planned improvements over the next year or two, such as more eight car trains, a long-awaited return to automatic train operations that could happen in the next year, and a proposal to extend peak service as part of efforts to make riding Metro more useful. “The better customer service, the better product you provide — generally that leads to success,” Wiedefeld said. The agency is also planning to move back to automatic opening of doors soon when a train pulls into a station, removing the sometimes frustrating wait as train operators follow rules designed to ensure doors only open on the correct side of the train. Beginning Jan. 1, Metro also plans to shave five minutes off its “Rush Hour Promise” to provide refunds to registered SmarTrip card users who are delayed 10 minutes or more at rush hour. Metro Board Chair Jack Evans, also a D.C. Council member, wants local governments to agree to pay for more Metro service, including a return to late-night rail service. Extended hours are not a part of the current budget proposal. “Uber and Lyft are still pretty expensive ….so, it’s still much more convenient, I think, and cheaper to ride on public transportation,” said Evans, who drove his black Chrysler the few blocks from the District’s Wilson Building to Metro headquarters for Thursday’s Metro Board meeting.